A new communications spacecraft for Hispasat, a Spanish communications satellite operator, will get a boost from a Russian Proton rocket Monday toward an orbital position more than 22,000 miles above Earth. The Amazonas 5 satellite is set for liftoff from the Baikonur Cosmodrome in Kazakhstan aboard a Proton launcher at 1923:41 GMT (3:23:41 p.m. EDT) Monday, kicking off a nine-hour ascent toward a geostationary transfer orbit. 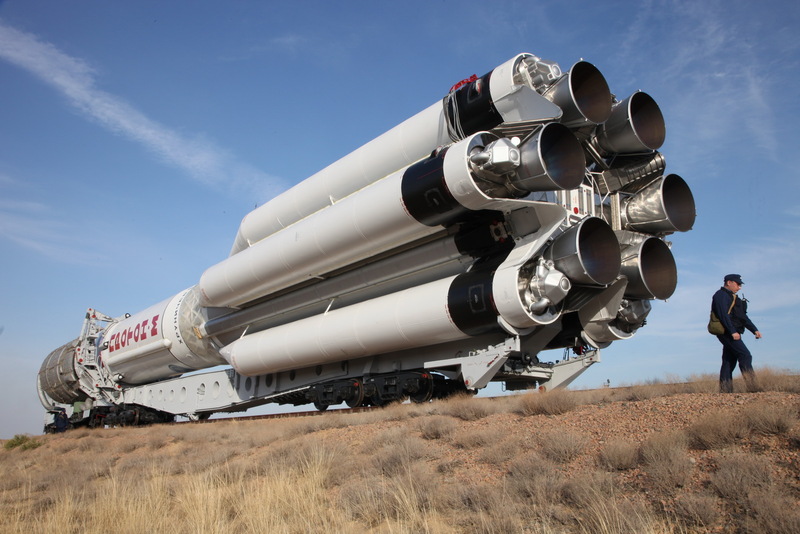 The 191-foot-tall (58-meter) rocket rolled out Friday to its launch pad at Baikonur, riding on a horizontal rail car before a hydraulic lift raised the Proton vertical. A mobile gantry moved into place around the launcher to give ground crews access to the vehicle for final countdown preparations. Liftoff is timed for 1:23 a.m. local time Tuesday at Baikonur, a sprawling spaceport leased by the Russian government from Kazakhstan. Flying under the management of International Launch Services, a commercial launch broker based in Virginia, the Proton rocket will climb to the northeast from Baikonur atop nearly 2.5 million pounds of thrust from six RD-276 main engines, then drop its first stage onto the steppe of Kazakhstan two minutes into the flight. 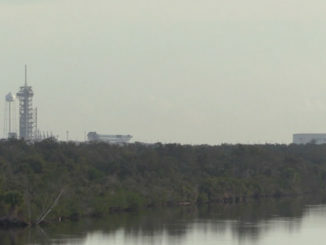 A second stage will take over for a three-and-a-half minute burn, followed by separation of the Proton’s third stage, which will ignite a single RD-0213 engine for around four minutes. The aerodynamic shroud enclosing the Amazonas 5 communications payload will jettison at T+plus 5 minutes, 47 seconds. 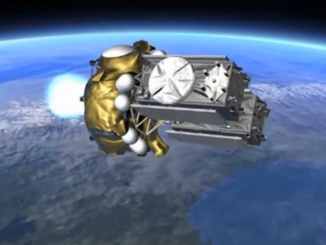 The Proton’s Breeze M upper stage will fire its main engine five times over nearly nine hours to maneuver the Amazonas 5 satellite into a high-altitude transfer orbit with a high point of 21,925 miles (35,286 kilometers), a low point of 2,765 miles (4,450 kilometers), and an inclination of 22.9 degrees. The 13,000-pound (5,900-kilogram) Amazonas 5 satellite, built by Space Systems/Loral in Palo Alto, California, will separate from the Breeze M upper stage at 0435 GMT (12:35 a.m. EDT) Tuesday. Built by Russia’s Khrunichev State Research and Production Space Center, the Proton booster is set to make its 415th flight since 1965. 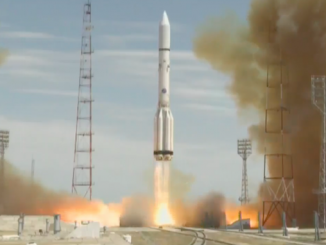 Monday’s launch will be the third Proton launch of the year, and the second for ILS. Amazonas 5 will use its own engine to circularize its orbit nearly 22,300 miles (35,800 kilometers) over the equator a few weeks after launch. The satellite will park itself at 61 degrees west longitude, where its orbit will hover over the same fixed geographic position on Earth. 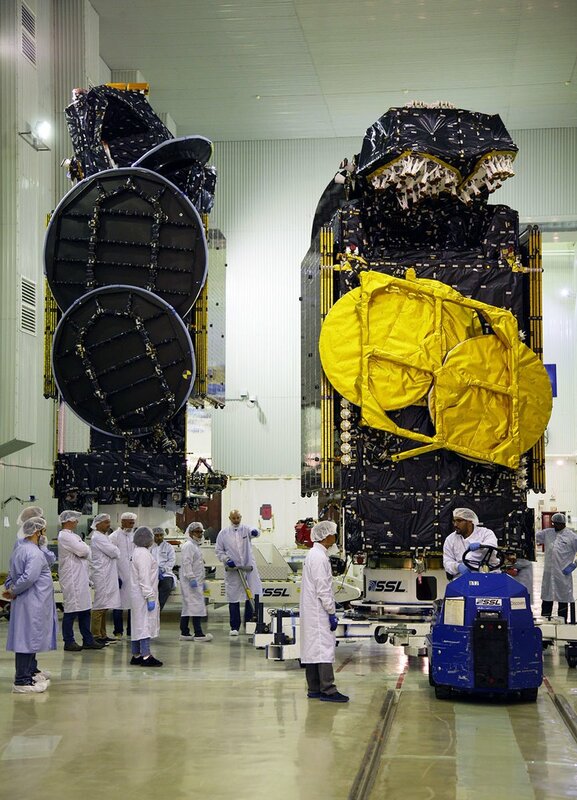 Its 34 Ka-band spot beams and 24 Ku-band transponders will broadcast communications services to Hispasat customers in Brazil and other parts of Latin America during a planned 15-year mission. The Amazonas 5 satellite’s Ku-band payload will offer 500 new TV channels, including 4K Ultra HD broadcasts, over Central and South America, according to a Hispasat press release. The Ka-band spot beams will provide Internet connectivity to a half-million people, Hispasat said, and the satellite will also support wireless and cellular communications across Latin America, from Mexico to Patagonia. Another ILS Proton launch is scheduled for Sept. 28 with the AsiaSat 9 satellite, a commercial television and Internet satellite destined to cover the Asia-Pacific region. Like Amazonas 5, the AsiaSat 9 satellite was built by Space Systems/Loral. The parallel launch campaigns mark a busy time for ILS, which has not conducted two Proton missions so close together since 2014.